Financial education speaker and author Shay Olivarria was quoted about credit unions on FoxBusiness.com. “Not only will they help you get where you want to be, you’ll understand how you got there and why it’s important to stay there,” Olivarria says. I had a great time with the students of Lee HS in Baytown, Tx. I’m super-happy they were interested in learning more about credit unions and credit-unioning! Check out the video of students and staff talking about what they got out of the presentation “Money Tips for Seniors”. Thinking about booking the most dynamic financial education speaker working today? Visit www.BiggerThanYourBlock.com to read articles, watch more videos, and find out about Shay’s unique take on personal finance. Know an organization that could benefit from hearing the most dynamic financial education speaker working today? Send the Bigger Than Your Block team a referral. If they book, you’ll earn $250 as a thank you! I’m so excited about Financial Education Month that I’ve decided to give away 25 copies of 10 Things College Students Need to Know About Money. I’ll provide the link to order your free copy tomorrow, but my email list will get the link an hour earlier. Sign up for the Bigger Than Your Block, LLC mailing list so you don’t miss valuable promotions like this. You guys know how much I respect and appreciate the work that credit unions do, right? Well, I’m honored that the Credit Union Times has included me in a story about getting students engaged in financial education. Whoo hoo! Read “Pop Culture and Field Trips Drive Home Personal Finance Lessons“. 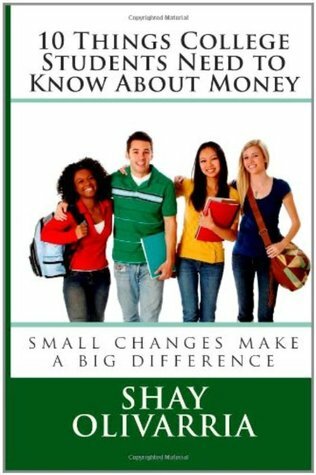 “So many of the financial education courses focus so much on the theory and academia of it that kids just shut down,” said Shay Olivarria, a credit union board member, speaker and author of 10 Things College Students Need to Know About Money-Small Changes Make a Big Difference. In celebration of April being Financial Literacy Month my new eBook, Guerilla Financial Tactics, is available now for free download. This brief eBook suggests ways to evade would-be identity thieves and be proactive about staying off the financial grid. Download Guerilla Financial Tactics here.